What a great card for any jazz lover! The layout is so creative. Thank you for playing along with us at the Sisterhood of Crafters and hope you will join us again soon. Fabulous musical creation Yogi! Thanks so much for joining us at The Sisterhood’s ‘Boys to Men’ challenge and please come back again soon! The die is so awesome and the sentiment is so fun. The vibrant colors pop against the darker neutrals. 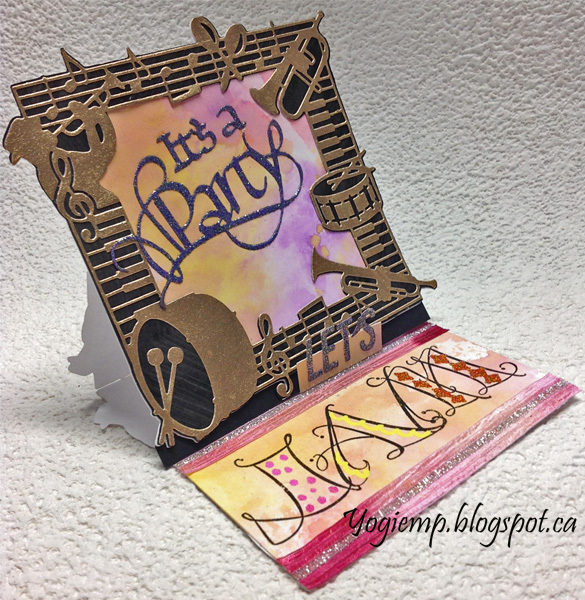 Thank you for joining us at Crafty Sentiments for our Anything Goes challenge. Love this die and I like the idea of the Filler 'er Up letters, too. Cute the way you did this, Yogi! Oh wow, fabulous card, love the design! Thank you for joining us at Scribbles Designs! Nice card. 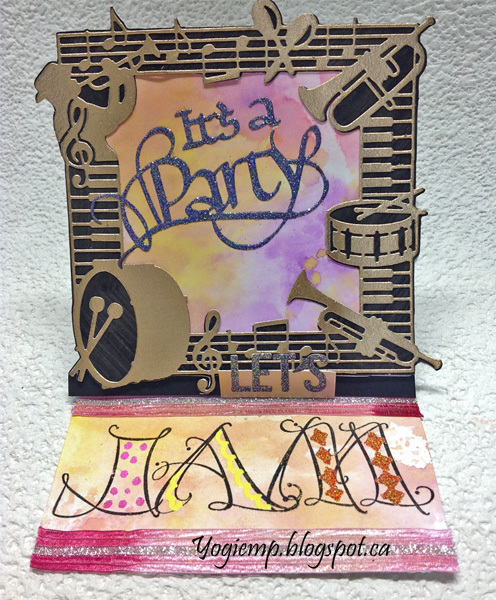 Love that jazz die cut! Thanks for playing with us at 4 Crafty Chicks this week! What a fun card! Love all the elements. Thank you for sharing with us at The Sisterhood of Crafters. Wonderful creation! I love dies! Fantastic! I love every inch of this card!